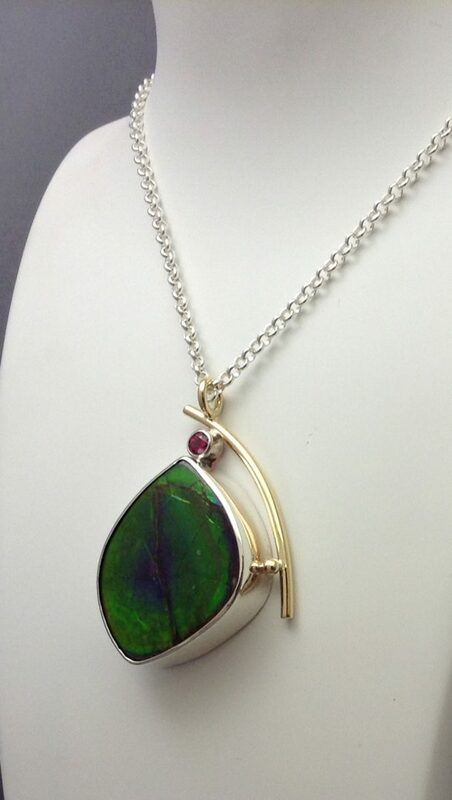 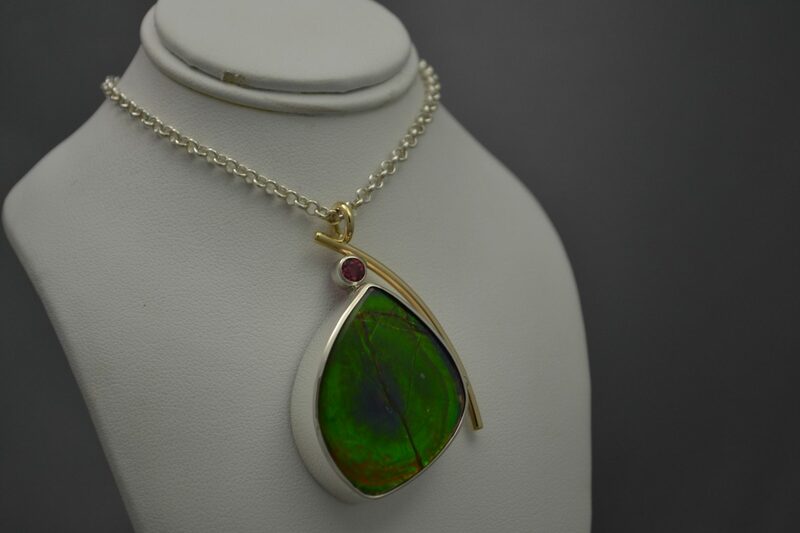 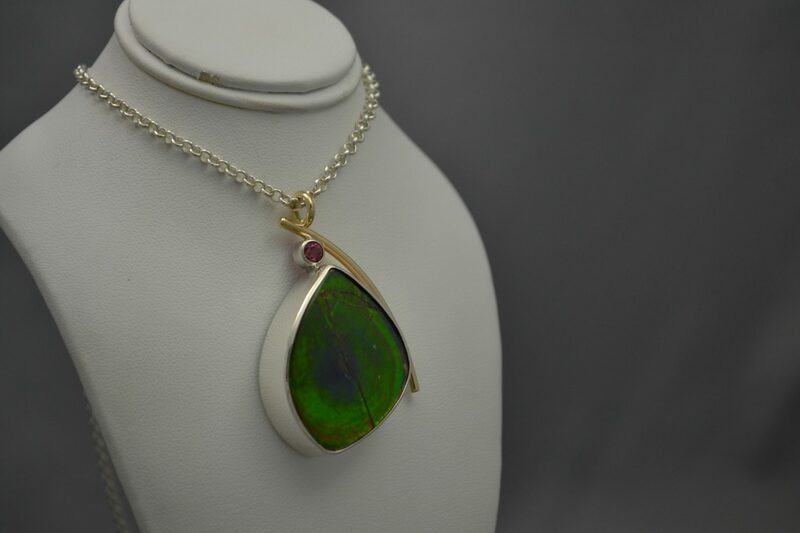 Handcrafted one-of-a-kind ammolite pendant designed by Joseph Reijnen. 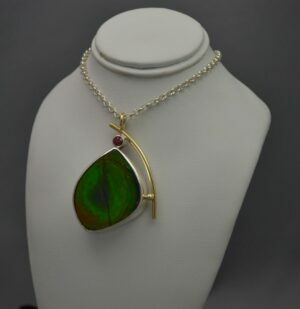 Pendant measures 4 1/2 cm x 3 1/2 cm and is set with a genuine ruby and embellished with 10k yellow gold. 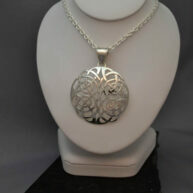 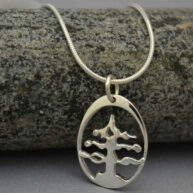 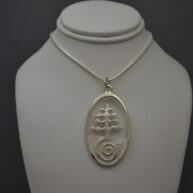 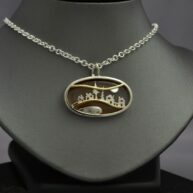 Price includes 18″ sterling silver chain.